This year’s event was a real success for Seagate. There was a good turnout from exhibitors and visitors alike. IFSEC is always a great opportunity to connect with customers in person and bring the whole ecosystem together, from hardware manufacturers to analytics providers. Events like this bring us together and allow us to share ideas and collaborate with the industry and in particular our partners, such as Hikvision, Dahua and Rasilient all of which had a great presence at this year’s show. 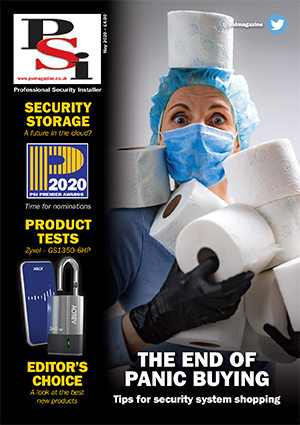 Seagate exhibited its industry leading surveillance storage solution, SkyHawk, as well as offered free on-stand seminars providing expert advice on the best storage solution for a variety of business challenges. My colleague Stephen Jones also took part in a very insightful expert panel discussion with Hikvision, AXIS Communications and Panasonic to discuss some of the trends and technologies that will shape video surveillance. The conclusions they came to around the adoption of new technologies such as Internet of Things, cloud and AI were fascinating and really made me think about what’s to come in this industry and how we can work with our partners to thrive. Our SkyHawk surveillance drive was on prominent display this year but the topic that really caught visitors’ attention was in regards to a study we commissioned with IDC this year, titled Data Age 2025. The study predicts data creation will swell to a total of 163 zettabytes (ZB) by 2025, which is equal to watching the entire Netflix catalogue 489 million times. While consumers are increasingly creating data through their connected devices, it’s actually being stored by the business that provides the device, service or app. This shift means businesses are seeing a huge increase in the amount of data they need to manage and ultimately have to store. One of the most interesting findings however, is that the largest component of this future growth will be in embedded devices such as security cameras, smart meters, chip cards and vending machines. Significant growth of data creation from embedded devices and the Internet of Things has created massive opportunities for surveillance – from facial recognition of criminals to business intelligence use cases, such as analysing customer behaviours and shopping habits to provide a more personalised experience. 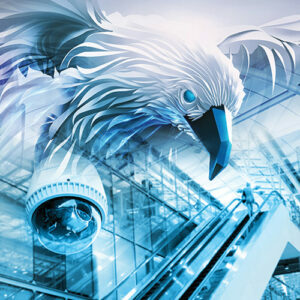 It’s clear from industry trends and conversations that took place at IFSEC that surveillance and security is changing. It’s no longer about just having the best camera or highest resolution, it’s about what you do with the insights pulled from data created to benefit your customers, business and wider society.